For the first time ever, Benugo will be hosting a New Year’s Eve party at the newly refurbished BFI Riverfront, offering a front-row seat to London’s largest firework display and full access to the Southbank for the evening - a fantastic opportunity to ring in the New Year in style! Guests will enjoy champagne on arrival and at midnight to toast the New Year, as well as a delicious range of canapes and bowl food, including mushroom and tomatade wellington, duck with crispy wonton, pickled cucumber, spring onion and plum sauce, and wild mushroom mac n’ cheese with herbed breadcrumbs and truffle oil. There will also be show-stopping entertainment on the night including a live band, live DJs and a gif booth. Download the New Year’s Eve menu. 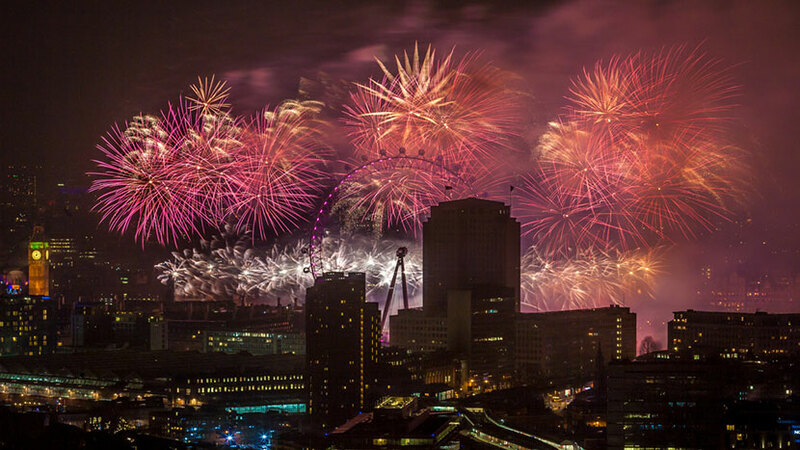 On New Year’s Eve access to the Southbank is restricted, so ticket holders will have a wristband posted out to them in advance. Please make sure your postal address is correct before purchasing a ticket. BFI SOUTHBANK IS A WORLD-RENOWNED, FOUR-CINEMA FILM CENTRE. showing a huge selection of classic and contemporary films each year, BFI Southbank screens both new and re-releases, film seasons and director and actor retrospectives. You can also access over 1,000 hours of films for free in the BFI Mediatheque and peruse a world-renowned library collection.